The course is designed to engage participants in two interactive platforms; one requires posting written responses on a private class forum page, pertaining to reading and video assignments. The other is a virtual classroom where participants can experience the group development process, various cooperative learning strategies, and reflective practice. 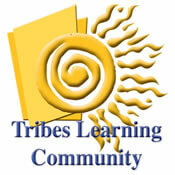 The text, Reaching All by Creating Tribes Learning Communities by Jeanne Gibbs (click here for description) is required reading and course reading assignments will be specific topic pages. In order to receive credit and/or certification for completion of this course, attendance at online class meetings is mandatory and all assignments must be completed within a specified time frame. You will need an internet connection (high speed) that will enable you to download video or access YouTube and other media sites. Be familiar with PowerPoint and creating presentations. Audio and video (web cam or camera and microphone) capabilities on your computer are essential. There are several courses scheduled for the upcoming year (see below). Some courses are designed for a more intensive 2-week duration, while others are facilitated over an 8-week period. We even have a new course designed to be completed over the course of 4 months (see below) designed for those with an already busy schedule. The content is the same for all durations. This will be an intense two weeks, with 10 hours commitment to online participation in the virtual classroom and 20 hours dedicated to independent learning assignments that will be posted in a private interactive online forum. This less intensive course (over 8 weeks, instead of two weeks) will engage participants in the Tribes process as the school year progresses, thereby enhancing the learning community while experiencing the group development process. It is designed so that participants will spend 2.75 hours with assignments and 1 hour online each week. If you cannot commit to 3.75 hours per week of dedicated reading, writing, and reflecting…this course is not for you. This monthly course (over 4 months, meeting once every three weeks) will not only engage participants in the Tribes process as the school year progresses, thereby enhancing the learning community while experiencing the group development process…but also allow time for the 24-hour course training for those with an already busy schedule. It is designed so that participants will spend 3 hours with assignments and 2 hours online each month. Students will be sent the “Class” URL link. These “student only” web pages contain your assignments, and a link to the class forum page where you will post your weekly assignments, comments and other interactions with the instructor. Prior to the beginning of the course, you will receive instructions and links for the online classroom, preliminaries, and support. It is essential that you complete your set-up prior to the first online class meeting. Attendance in all online classes is mandatory for a certificate of completion. *Additionally, you will also need a copy of the book titled “Reaching All by Creating Tribes Learning Communities” by Jeanne Gibbs. This may be purchased directly from the Tribes.com bookstore, our Canadian Distributor-Tribes Resources in Canada, or our Australian Distributor-ACER.